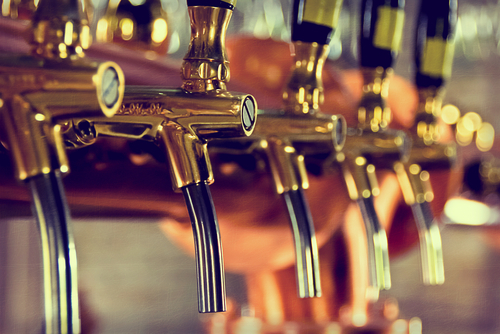 Why Does Your Pub Need Liquor Liability Insurance? Craft breweries, pubs, bars, taverns; you name it and America’s got ‘em! The U.S. has become a mecca for the craft beer and liquor communities. Passionate people work behind the scenes to ensure that they not only give customers the best of the best, but that they also run a profitable business. Profits mean nothing without the right financial protection though, which is why it’s vital to invest in the appropriate Insurance Policy for Pubs and Taverns. Why is insurance protection vital? You may think that the obvious answer is to protect your property with General Liability Insurance, or to provide injured employees reimbursement with the right workers compensation policy, now required in all states. Of course these coverages are important, however perhaps the most important policy for you to consider for your pub or tavern is your Liquor Liability Coverage. Where there is alcohol, there will be drunken individuals. When drunkenness occurs, there lies the risk of damage, injury, etc. Unfortunately, there are cases in which someone gets drunk to the extent of causing injury to another or property damage to the establishment. This could happen in restaurants, bars, nightclubs, taverns, etc. Logistically speaking, the inebriated person who caused the damage should be the one held liable for payment, right? Wrong; the business that served the alcohol to begin with can and will be held liable for injuries, damages, or both that happened due to actions, behaviors, or conduct of a patron who drank too much. Liquor Liability Insurance is not just an optional coverage, either. Not only do most states within the U.S. require alcohol vendors to obtain this coverage, most liquor liability policies are sold as a standalone policy; so many establishments might not even realized they aren’t covered by their general liability policy. Don’t be caught unprotected; understand that many of the legal claims that are filed against bars, taverns, pubs and restaurants result from liquor-induced fights or altercations. Even the act of an employee escorting an unruly person from your establishment can turn into a claim of Assault & Battery. For more information about the coverages we provide for pubs, taverns, and other establishments in the hospitality industry, please contact RMS Hospitality Group today at 888.359.8390.